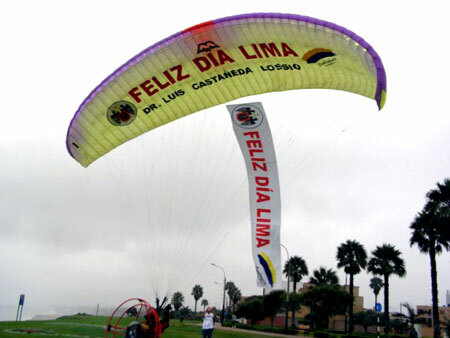 Paragliding Publicity has many advantages over the more traditional forms of publicity and offers an original, alternative and innovative way to advertise. Due to the characteristics of a paraglider or paramotor (the possibility to fly at low altitude and at a reduced velocity), this type of advertising has a great visual effect and high impact level to potential clients. 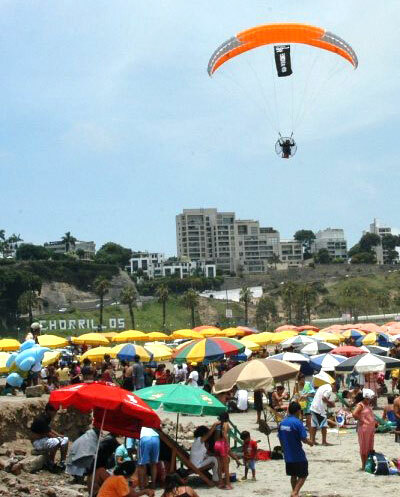 Free Flight relying on the earth’s free energy (wind and sun) to stay airborne. 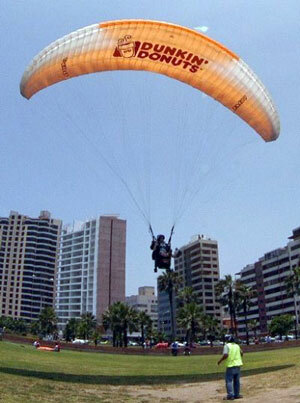 Or Paramotor which can be flown in almost any place, at anytime. 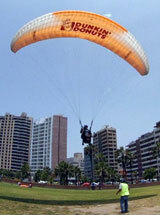 A logo can be installed on the underside of the paraglider which has a surface area between 25-42m square. 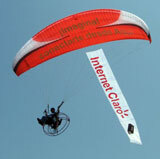 A banner can be attached to the paraglider (maximum size 10m long x 1.2m wide). 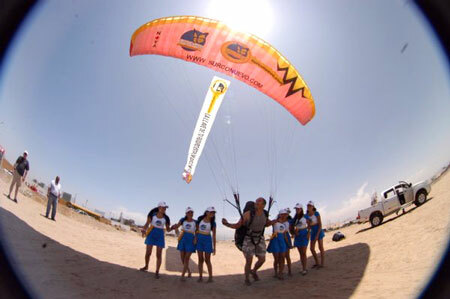 We can also arrange dropping of promotional material such as flyers/flowers etc. Once the desired publicity is installed, an advertising campaign can be planned according to specific requirements set by the client/company. 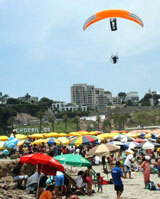 Fly Adventure offers a complete range of Aerial Film and Photography services. 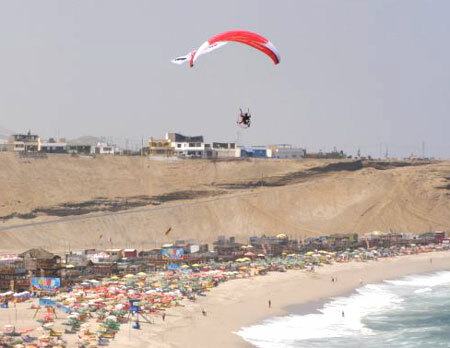 Due to the characteristics of paragliding, we are able to film or take photos from various angles and heights.